Brace yourself for a shocking revelation: Something new and potentially trendy is happening in a coffee shop on Capitol Hill. Cold brew, served iced, is common in specialty coffee shops, especially in warmer months. But order a cup at tiny, 16-month-old Analog Coffee, and the barista won’t pour it from a pitcher, but rather a shiny silver bar-top tap. It’s kegged coffee on draft, the caffeinated love child of Seattle’s java and beer cultures. Fans even tote their own growlers to Analog for a coffee fill ($13 for the growler, $8 for refills). Owners Danny Hanlon and Tim Hayden originally planned to sell their cold brew in glass bottles. But when Montana, a hospitable self-proclaimed dive bar, opened just around the corner on Olive Way, they were wowed by the tap system that dispenses entire batches of kegged cocktails. Hanlon and Hayden get their beans from Phinney Ridge roaster Herkimer Coffee. They experimented with all of its single-origin beans before hitting on a favorite from Colombia. 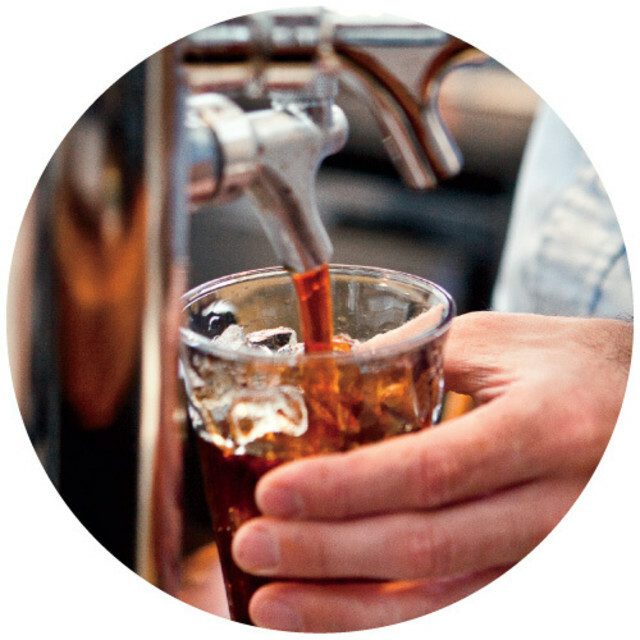 A good cold-brew candidate must be high in acidity, says Hanlon. The coarsely ground beans are steeped in room-temperature water overnight for about 15 hours—for a slow and gentle extraction of flavors. Once it’s steeped, the coffee makes repeated trips through paper filters to remove all the sediment, a critical step for cooperating with a keg. The process unlocks the same flavors as traditionally brewed coffee, but different notes come to the forefront. Without that acid, a cold-brewed coffee can be overly chocolatey and sweet, and cold-brew aficionados are hardly a mochaccino crowd. The tap was a neighborhood smash when it debuted in July, but demand has stayed strong even in cooler weather, especially from people who fill growlers so they can drink iced coffee throughout the day. A very few (equally hip) coffee shops in Portland and Brooklyn have introduced cold-brew taps, but this surprisingly simple concept seems destined for a broader swath of the coffee-drinking universe.